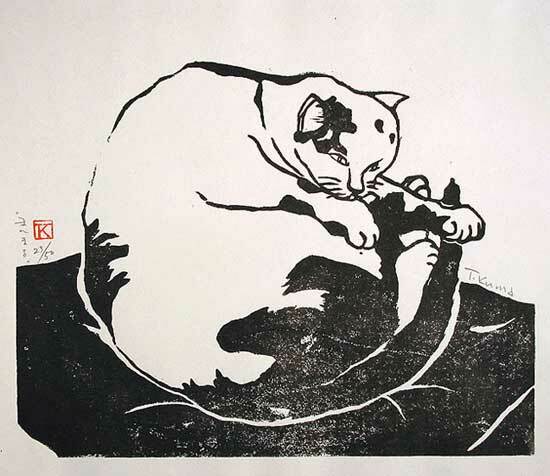 TADASHIRO KUMAZAKI is a multi-talented Japanese artist with extensive printmaking experience both in the United States and Japan. He is skilled in traditional Japanese fabric dyeing techniques and taught them at Fiberworks in Berkeley, the Mendocino Art Center, and Kusari Dyeworks–all of which are in the Northern California area. 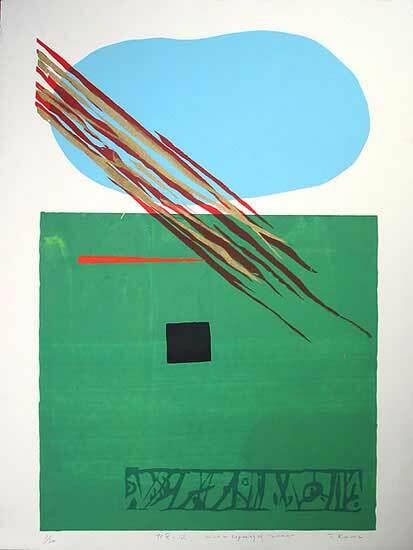 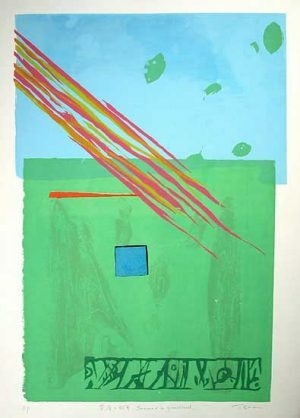 His work includes large abstract prints and paintings as well as wall sculptures and textile installations. 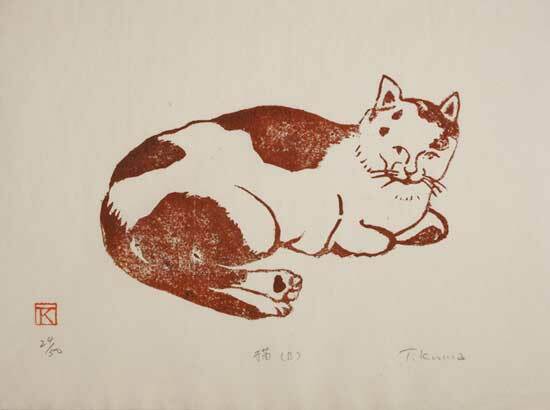 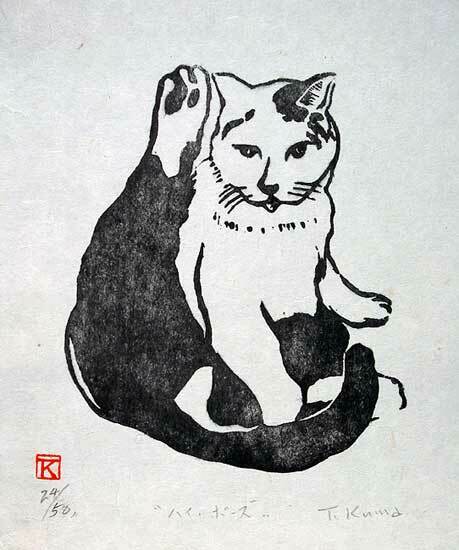 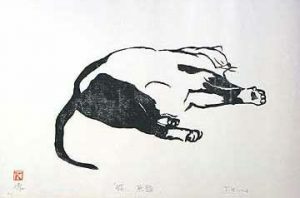 We are currently showing a selection of Tadashiro’s limited edition large “seasonal” silk screens and his limited edition woodblock prints of cats. 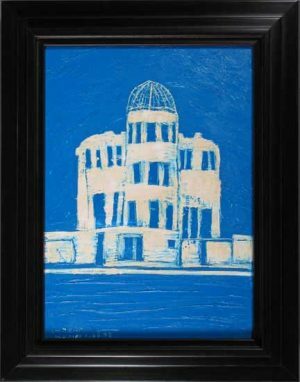 His small painting of the Hiroshima Peace Dome is a poignant reminder of the horrors of war. A NOTE TO OUR VISITORS: All images on this site are copyright of the artist indicated or of Park Slope Gallery. It is illegal to sell, copy, or distribute these images without permission from Park Slope Gallery or the artist. 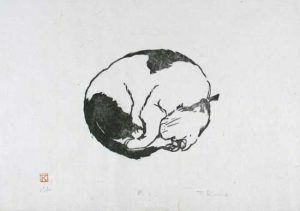 Thank you for your help in protecting the creative talents of our artists.